What was a thrilling year last year in the 60 meters, will give way to what should yet another exciting winter in the event, but with plenty of new faces near the top. Meadville's Journey Brown tied the state meet record last year to win the 60-meter state title in 6.80. Two are back from the final and those two will be the ones to beat this winter. Austin Kratz of Dock Mennonite went 6.92 in the finals last year to place sixth. Imhotep's Kristian Marche took seventh in the same time, but Marche blasted a 6.88 in the semis at states. Both will be on the hunt for the top spot this season. Plenty of returners are right on the cusp of that 7 second barrier, and could certainly challenge Marche and Kratz for the state's top spot. One will be Harry S. Truman's Sayyid Saunders. The senior has never competed indoors before, but it looks like he'll suit up this winter and it could be a big season. He ran 10.66 last spring in the 100 meters and placed fourth in the state, so he should certainly make a run at the state crown this season. Harrisburg's Ronald Kent went 7.02 last season. Outdoors, he ran 10.72 for 100 meters, so Kent has a ton of potential to bust some big times this winter. Springfield (Delco)'s Philip Shovlin should be a force in the 60 meters. He ran 7.05 last winter and then ended up fifth at outdoor states in the 100. 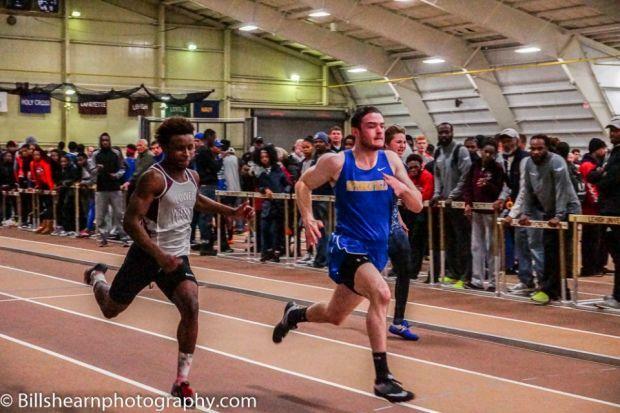 Norristown's Austin Montgomery was a standout freshman last season, going 7.02 in the 60. With more experience under his belt, he should chase sub-7 and then some this season. Another freshman---Dylan Vlassenko of Conwell-Egan---went big at indoor nationals, popping a 7.05. Wissahickon's Rasheed Wright, LaSalle's Octavious Carter, Canon McMillan's Kamden Martin, Hatboro-Horsham's Paul Isabella are among the others who ran sub 7.10 last winter. Ultimately, the field is wide open and there is plenty of room for sleepers to emerge here. 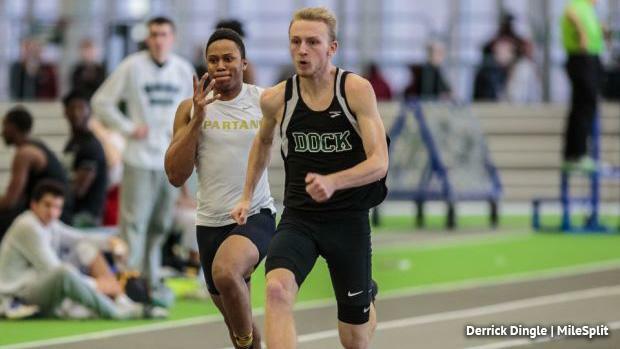 Watch the final of the 60 meters from the PTFCA Indoor State Championships from last winter and check out the top 400+ returnees in the event below.